The Texas Style Council conference is different. Praised as being "relatable, comfortable, and approachable", the Texas Style Council is a social media conference unlike any other conference. Having wrapped our fourth annual conference in 2013 with nearly 400 attendees, we've still managed to maintain our "girl next door" vibe. While we don't give our attendees a one-sized fits all laundry list that says if you do X, Y, + Z you'll have more online followers and more sales, we will connect you with trustworthy experts and peers who will help you be the best version of yourself online, no matter if you're nationally known or just starting off. Specific for female lifestyle bloggers (including personal style, mom, and DIY bloggers) as well as business owners and independent designers in women-centric industries who use new media to connect with readers and customers, we dedicated a day and a half to networking and meeting new people and brands, while two days were devoted to a fully staged social media school where bloggers, brands, and small companies learned from top tier professionals new ways to connect with each other, their readers, brands, designers, and customers. Although we took a break from TxSC in 2014, we are back with a new concept for 2015. Instead of a glitzy three day conference at a hotel, we are hosting a smaller, more intimate retreat and encouraging our attendees to CAMP- Create A Meaningful Presence. We'll be going back to basics-- camping and focusing on content and story telling for bloggers and brands. We will create, connect, and conquer! 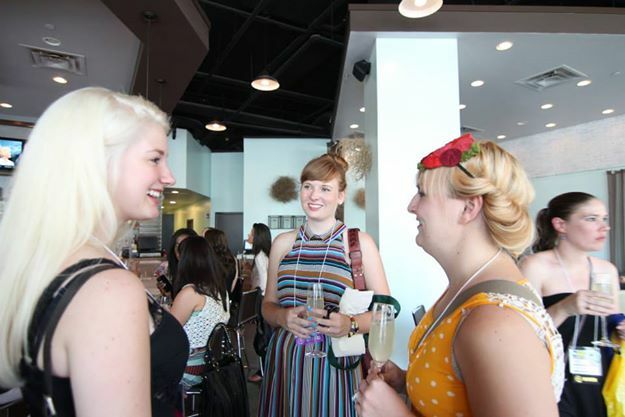 A weekend away for female bloggers and business owners to rekindle their creative fires.